The dream monster can be a nightmare to play against. Quick, who is the most terrifying champion in professional League of Legends? Is it Zoe with her obnoxious poke and her ability to conjure summoner spells out of thin air? Or Aatrox, who was broken before his rework and still broken today? What about Kindred, who can somehow come back from getting killed and having all of their buffs stolen to carry the game? Those champions are all in the top 10 in presence on the pro stage for Patch 8.14, according to League stats site Games of Legends. Excepting Kindred, they’ve all been meta for quite some time now—we’re used to complaining about Zoe. But there’s a champion that sits just one outside the top 10 who might be the most terrifying of them all: Nocturne. Nocturne went from not being picked in any region, major or minor, on Patch 8.10 to one of the strongest junglers. What happened and how are pro teams using the Eternal Nightmare? In the craziness that’s been League season eight, Patch 8.10 feels like an eternity ago. But if you can remember that far back, 8.10 was when jungle experience was totally overhauled. One of Nocturne’s biggest weaknesses, especially on the pro stage, is his early clear. That’s why last year at Worlds, GIGABYTE Marines had to play a funnel comp around their Nocturne, to make sure he could get to level six safely. But with the boost to Rift Scuttler and other slight tweaks, Nocturne found his early clear much safer. As that happened, pro teams found out that he was a viable pick against junglers who don’t like to invade early, like Camille and Taliyah. That advantage still exists on Patch 8.14 against the likes of Sejuani and Trundle. Smart teams who play Nocturne know how to protect him until he hits level six, when everything changes. 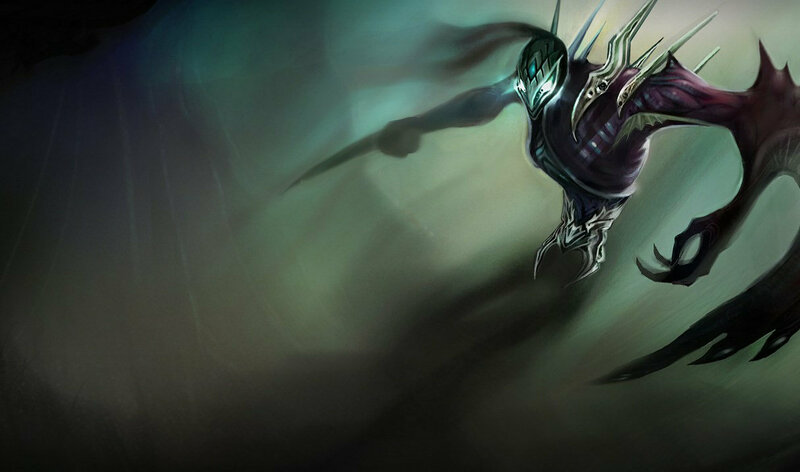 There are a lot of game-changing ults in League, but few have an immediate visceral impact like Nocturne’s Paranoia. The entire map goes dark for his opponents as they scurry to safety. Nocturne’s ability to ult anywhere at level six simply changes the rules of the game. 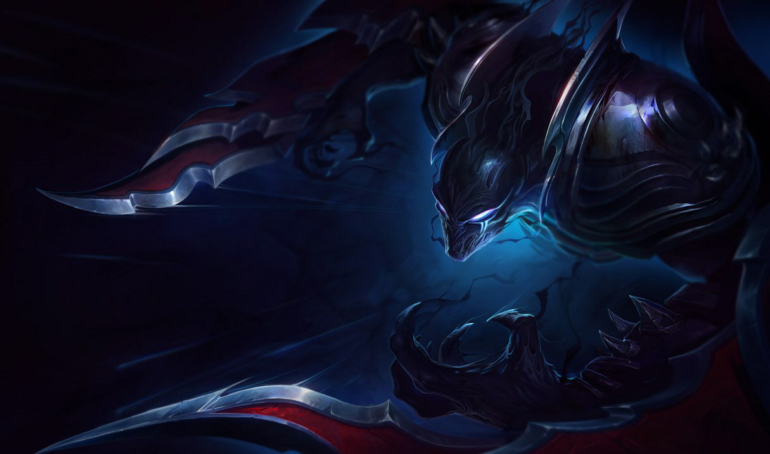 It’s no longer good enough to have the river warded—you need vision deep into the enemy jungle to spot the Nocturne before he starts on the war path. The effect of a good Nocturne gank can be devastating. He’s especially useful in the way he can help control mid lane. Sometimes, Nocturne’s mere presence can prevent an opponent mid laner from stepping forward. That opens up even more room for him and his team to take over the map and the tempo of the game. With such strong control of the map at level six, it’s no wonder why Nocturne’s so successful in pro play. That doesn’t mean he’s foolproof, however. There are ways to stop the monster in his tracks. The easiest solution is an anti-dive comp with champions like Galio and Vladimir, who can survive his ult and protect their team. You can also protect the mid laner by having multiple people visit, including the support and top laner. In KINGZONE’s losses to Griffin a few weeks ago, KZ’s Nocturne repeatedly ulted onto non-priority targets in side lanes. Last week, Fnatic solved G2’s Nocturne by drafting a composition full of hard-to-kill champions and grouping together. To counter that, Nocturne players need to have a keen sense for situations, not only when to pick the champion, but how to use his ult on high-priority, squishy targets. In this sense, he’s kind of like Skarner—he can eliminate a single person but often requires help in doing so. Nocturne is a pretty straightforward champion. You point, click, ult, and usually, somebody dies. That just means the Nocturne player has to do his critical thinking before the play happens. He’s a situational pick who can totally neuter an opponent’s strategy. When used correctly, he’s a nightmare to play against.